±1% accuracy of torque reading from 10% – 100%. Torque applicable in both CW & CCW. Useable from 5% of full scale with ±3% of reading. Up to 500 hours of continuous operation. The “DW” series of electronic torque wrenches establishes a new standard in threaded fastener installation tools. It features the latest state-of-the-art Patented sensing and micro-controller technology, designed and built for the professional industries. 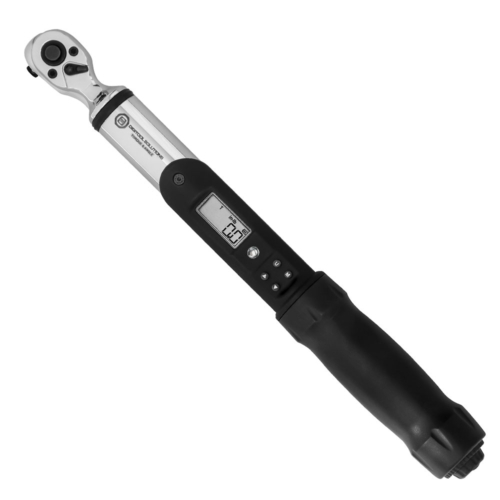 An intuitive user interface works with the high-contrast LCD display to show torque preset values, display modes, and measuring units in, “ft-lb”, “in-lb” and “Nm.” Real-time digital readout, (auto track mode) emulates the precision of a dial type torque wrench. 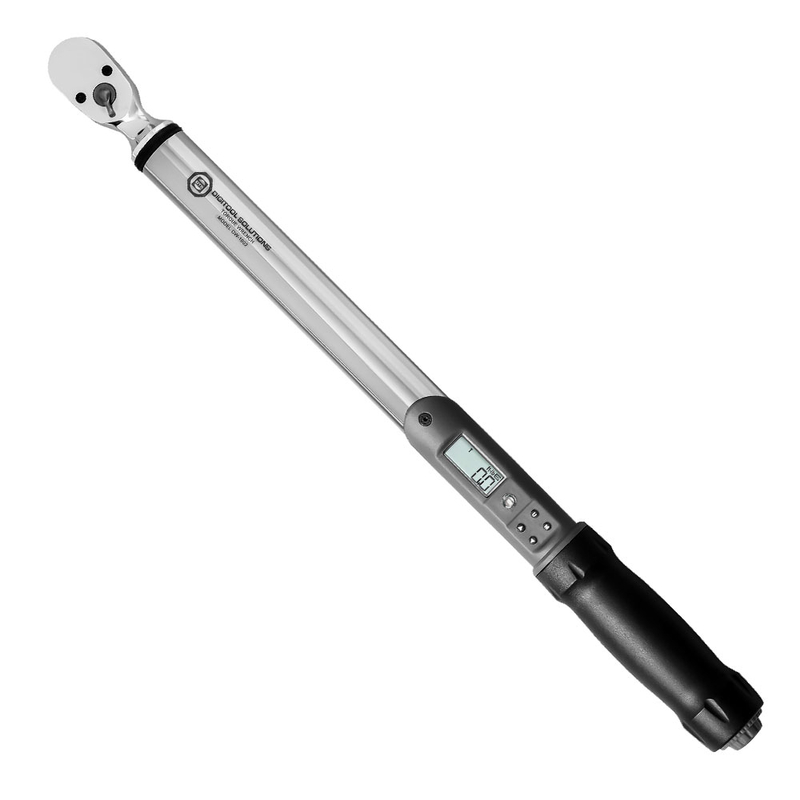 Its torque preset function emulates the familiar click-type torque wrench by producing a handle vibration, visual indicators, and an audible alert at torque preset attainment. Tri-colored LED’s provide real-time early-warning and over torque alert. The display also captures peak torque readings in tightening or loosening directions, generally CW to identify maximum torque installations and CW or CCW break- away torque for quality audits of preinstalled fasteners. Like its DWA torque and angle cousin, the DW features ±1% accuracy of torque reading between 10% and 100% of full scale in both CW and CCW directions which exceeds the ASME B107.28 Standard. The wrench is usable down to 5% of full scale at ±3% of reading precision. Its integral 36-tooth ratchet drive provides strength as well as versatility in use. Three wrench sizes are available, 1/4”, 3/8”, and 1/2” square drive ratchet heads, covering 12.5 “in-lb” to 600 “ft-lb” and 1.3 to 800″Nm” torque capacity. The wrench is powered by two easily replaceable AA Alkaline cells.This battery provides up to 500 hours of continuous operation. All DW series torque wrenches comply with ASME B107.28-2005 (Type 1) and ISO-6789- 2003 Standards. Factory calibration is performed using certified bars and weights that are traceable N.I.S.T. Actual torque readings and individual instrument serial numbers are included on the calibration certificate.